More than a million fasteners are used in the production of a large airplane. What if you could produce a million fasteners in the time it normally takes to produce 125,000? 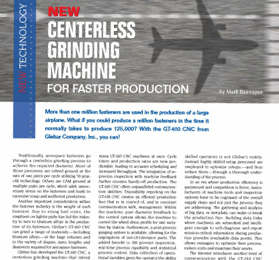 With the GT-610 CNC from Glebar Company, Inc., you can!